You may be generating certain amounts of information that will require securely disposing of. We offer a Confidential Waste disposal service across South Wales at excellent prices. 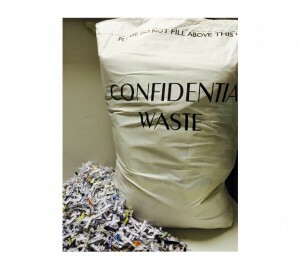 We supply you with confidential waste sacks which you fill with your secure information and other paperwork you need destroying. We will then collect your sacks when required and arrange secure disposal of them. You will be issued with a collection note and duty of care transfer note stating how many bags we have collected, you will then receive a proof of destruction in the post or via email once your confidential waste has been destroyed. Contact us now for further information or to arrange a collection!